Home > Used Vehicles > 2007 Subaru Forester AWD,AIR,TILT,CRUISE,PW,PL,TILT,CRUISE,LOCAL TRADE!!!! 2007 Subaru Forester AWD,AIR,TILT,CRUISE,PW,PL,TILT,CRUISE,LOCAL TRADE!!!! Hurry on this one! Marked down from $10900 - you save $1000. 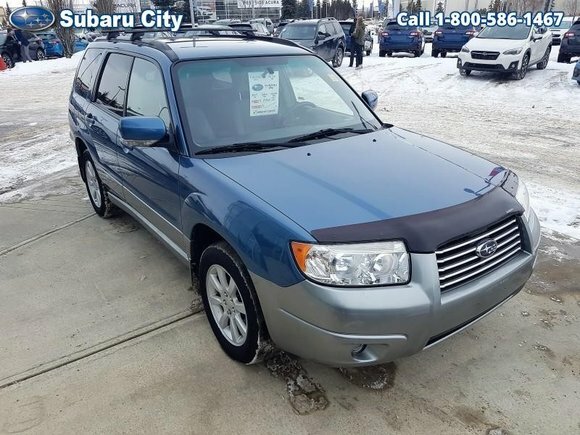 This 2007 Subaru Forester is fresh on our lot in Edmonton. This SUV has 93760 kms. It's newport blue pearl in colour. It has an automatic transmission and is powered by a 2.5L H4 16V MPFI SOHC engine. Want to try the 2007 Subaru Forester AWD?